We care for the small business just as we care for established enterprises. We have invested in a state-of-the-art infrastructure with full redundancy and fault-tolerance with a leading tier-3+ data centre service provider in the UK. 99.995% uptime is our promise for all infrastructure services. Imagine if a prospective client was directed to your website by Google and your site was down or inaccessible. Or imagine how about if your site was just too slow as the pages were getting loaded. Performance issues and any issue can make your prospective customer simply leave your online shop. Eight to ten seconds, that’s all you have to engage with your prospective customer. Whether a start-up, small or a large enterprise, a slow system performance can reduce the chance of a potential or existing customer staying on your website. For internal systems, it can mean a loss of productivity of your workforce. A fully managed, high-performance, dedicated or virtual infrastructure is the solution to go for. It is time for small businesses to embrace the Cloud from established service providers. We provide a complete range of dedicated and virtual servers with no limitations on traffic or bandwidth. We have clients who are using our dedicated servers to run high-performance and complex business applications such as CRM systems, websites and ecommerce platforms. Cisco Meraki is the leader in cloud-controlled WiFi, routing, and security. Secure and scalable, Cisco Meraki enterprise networks simply work. When we built our networking infrastructure, we carefully evaluated a number of available options and decided to make Meraki Cloud as our foundation for all network service management. As a result, we can offer faster provisioning and quicker problem resolution to our clients. We are the only VPS hosting provider with firewall support and advanced security and threat protection for your VPS. We have partnered with DELL to build our server farm using standard DELL PowerEdge Servers, centrally managed by DELL OpenManage and SolarWind. Armed with adequate spares and a standardised configuration, we can deliver the uptime our clients’ need – no matter whether it is a small-business website or enterprise-class VPS for big data application. Running under high-availability hypervisors, we deliver Windows and Linux virtual machines offering stable and high-performance computing capabilities. No OEM kit. No mix and match approach when it comes to servers. Amito Data Centres, our premise. Amito Data Centre at Reading is our core server farm. Amito is founded by a team of industry veterans when it comes to creating data centre infrastructure. Amito operates the most energy-efficient data centres in their class, by using the latest advanced technology and innovations. Our servers are colocated in their Reading data centre, which is supported by a 2N infrastructure to host our mission-critical equipment and servers. All servers have two parallel and fully redundant power supplies, network connectivity and redundant storage. Datto, protecting our clients like no other. When we say, we protect our clients like no other, we mean it. At our heart of server farm, we use Datto as our core backup and disaster recovery technology. We ensure that in the event of catastrophic failure, if ever happens, your virtual machines, websites or data is absolutely safe. Based on our monthly-conducted failover-recovery tests, we can bring a server alive in 15 minutes from its last backup, if ever that happens. 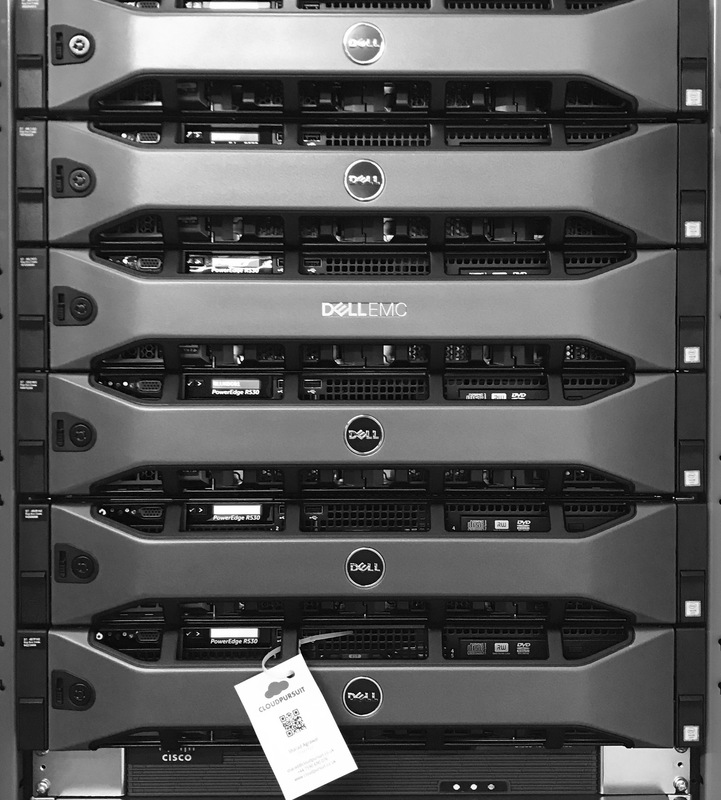 Our Datto appliance runs on our high-availability servers and monitored on a daily basis. Our customers can choose, whether to backup every hour, every day, every week – we are flexible and can provide customised options. Why you can trust our data centre capabilities on service continuity? The answer is simple. We have built a self-reliant infrastructure and service delivery model. Unlike other small business hosting providers, we do not provide white-labelled infrastructure services. In our opinion, white labelling is the most misleading form of service delivery. Such service providers simply change the face of customer interaction but deliver services managed through 3rd party infrastructure and manpower. As we are 100% transparent about our services and service partners, we leverage best-in-class data-centre services from Everest, only to locate our servers at their Reading, UK data centre. Everything else on our server farm is planned, purchased and managed by our dedicated team to provide highest level of service quality and optimum performance to all our customers. If you are not convinced, give us a call and we can plan a site visit for you to experience see the quality of our infrastructure from your own eyes. Our data centre facilities rely on network connectivity to multiple carriers for the highest possible availability and speed. We have built our server farm with paired firewalls and switches to fully leverage the redundancy. Our server farm hardware including networking gear has two fully redundant power inputs. All power sources have battery back-up, state of the art UPS systems and diesel/bio-fuel run power generators on stand-by. Our server farm is protected by 24/7 manned security with sophisticated number plate recognition, iris and biometrics technology. Access to our farm is further secured by video surveillance and other security methods. We understand your concerns, if any. Choosing a hosting service provider can be challenging. Simply drop us a message with your questions and we will respond promptly. If required, we can arrange a visit to our data centre racks for you to see and appreciate our capabilities at first hand.